In this epic of space age adventure, where anything and everything goes, the class bully is a slab of beef, the school gossip has five mouths, and the blackboard sometimes erases the students!!! 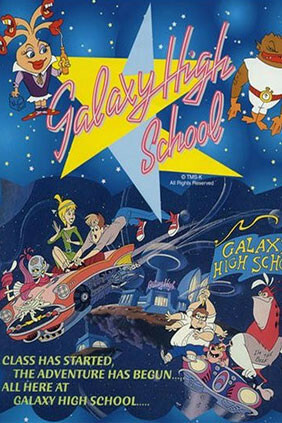 Originally broadcasted on the CBS Television Network in the U.S. and developed by Chris Colombus, the renown director of the hit feature films "Home Alone," and "Harry Potter," Galaxy High School was also nominated for the prestigious Humanitas Award for its provocative anti-drug episode, "The Brain Blaster." So enroll now, grab your books, school's now in session at Galaxy High!! Where higher learning takes on a new meaning.